Hello everyone! This year, I thought it might be fun to share how I’ve been spending my Halloween season. It might give you some ideas for your own festivities this weekend! I was very fortunate to be able to see The Thing at the movie theater this month. It’s my favorite movie ever, and if you haven’t seen it, this month is the perfect time. A group of scientists in Antarctica unearth an alien that never should have been woken up, and what follows is one of the tensest stories ever put on film. The practical effects stand up to today’s scrutiny, and when I saw it on the big screen, I understood why people walked out of theaters in the 80s. I rewatched The Omen and Damien: The Omen II, both excellent in their use of creepy children. The first movie follows the story of the Thorn family after the birth of their son, who dies in childbirth. A priest present at the time convinces Robert Thorn to adopt a very convenient baby and not bother to tell his wife that their actual child died, and everything goes downhill from there. In the sequel, Damien is now a teenager, and once he discovers his true nature, he’s even more of a force to be reckoned with. Unfortunately, I watched The Omen remake, which is completely unnecessary. 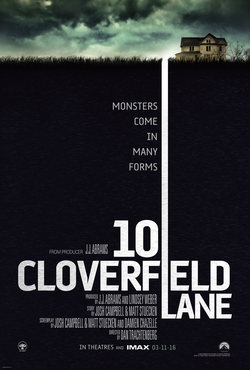 I finally got to see 10 Cloverfield Lane, which I’d been anticipating since I saw the trailers. It didn’t disappoint, but I don’t think it had to be tied into the Cloverfield universe. Michelle (Mary Elizabeth Winstead) is one of my favorite movie heroines in a while, and John Goodman as Howard is supremely creepy. The Walking Dead premiere on October 23 is an annual Halloween tradition at this point – it always comes back in October to get you in the mood for the month. Unfortunately, this year, I thought the premiere veered into gore for gore’s sake, needlessly upping the shock factor. It’s one thing to see a black-and-white gory drawing in a comic, but quite another to see a flesh-and-blood human turned into a gore pile. 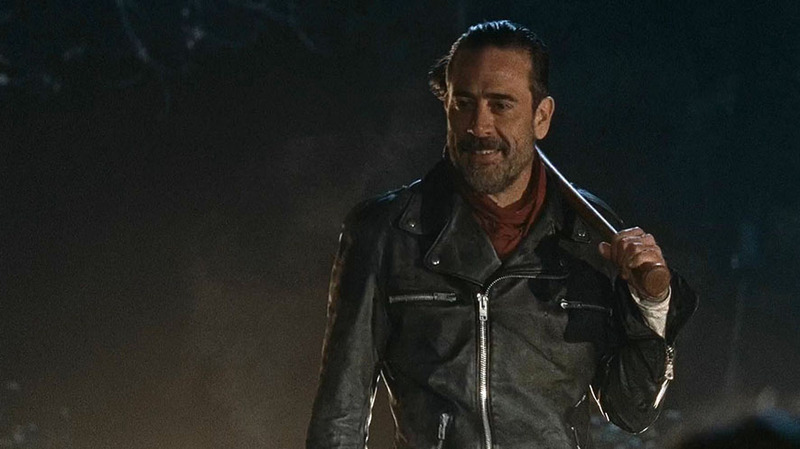 Jeffrey Dean Morgan is having an absolute scenery-chewing ball though, which is fun to watch. Another creepy show with an October debut is American Horror Story. I’m not quite caught up, but I’ve seen the first two episodes of the season and I like the new format it’s taking – I’m so curious as to what’s up with the documentary aspect of Roanoke. Ryan Murphy never disappoints with his casting, but the plot of AHS always falls apart pretty early on. It’s still a fun ride. 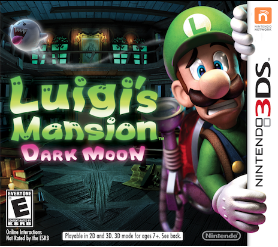 A friend sent me Luigi’s Mansion: Dark Moon for my birthday, and I’m delighted so far. I loved the Gamecube game, and this is more of the vacuuming and money-collecting action I’m looking for in my Luigi-based games. It’s really fun to explore the mansion, and although I’m not too far in, it looks like there’s way more ground to cover this time around. October in Animal Crossing: New Leaf brings Jack to town at the beginning of the month. He asks you to do his evil – I mean, delicious! – bidding, scaring villagers so they give you candy, which you can trade for spooky and creepy decorations from the Czar of Halloween himself. I can’t wait to go trick-or-treating my beautiful village of Xanadu on October 31st. I gave the Outlast 2 demo a shot. It’s VERY scary, and I jumped quite a bit, but I became frustrated while running around the cornfield to the point where my frustration triumphed over my fear. I don’t see myself buying that one. The Disappearance of Eileen Kestler is a prelude to Marginalia from Connor Sherlock and Cameron Kunzelman. This is a very weird and creepy ten minutes that leads up to the events of Marginalia, which is being re-released in 2017. It begins as you look at a burning house surrounded by mountains and a forest, and you begin following torches across a field and deep into the woods. It’s worth your time, as is Marginalia. [Note: photosensitive players may be affected by both games.] You can pay what you want for the game on itch.io. There’s a bunch of stuff that I wanted to do this week that I wasn’t able to, so for the weekend, here’s what I’ve got planned: starting the new season of Supernatural, another show that I look forward to returning to every October, despite its silliness at this point (highlight for spoiler: last year the big bad was God’s never-before-mentioned sister). I’m also going to finish my marathon of the Omen series with The Omen III, where Damien is all grown up and played by Sam Neill. I finally got around to buying Anatomy by Kitty Horrorshow, which everyone’s been raving about, so I’m really looking forward to playing that.